El Encanto Estates is a beautiful historic neighborhood located in midtown Tucson. When it was established in 1928, the area of Broadway, 5th St., Country Club, and Palo Verde was on the far east side of Tucson and took advantage of the close proximity to the El Conquistador Hotel (which was torn down in the 1960s to make way for the now defunct El Con Mall). As the population grew through the years, this area is now in the heart of Tucson, which makes it a convenient location to the University of Arizona, downtown Tucson, shopping, and restaurants. The land that El Encanto Estates occupies was first homesteaded in 1907 by Henry J. Blaise. The land was sold a number of times before it was developed in 1928. Most homes were built between 1929 and 1961.The neighborhood was entered into the National Registrar of Historic Places in 1988. Many prominent Tucson architects designed many of the homes within El Encanto Estates, including: Josias Joesler, Anne Rysdale, Arthur Brown, Henry O. Jaastad, and Merrit Starkweather. The styles of homes range from Spanish Colonial, Ranch, Mission Revival, and other revival styles popular in the period. El Encanto Estates is serviced by these TUSD schools: Sam Hughes Elementary, Mansfeld Middle, and Tucson High. Some of the most unique things about the neighborhood is the symmetry of the spoke-shaped streets, the palm tree lined roads, the impeccable landscaping, and the park in the center of the neighborhood. 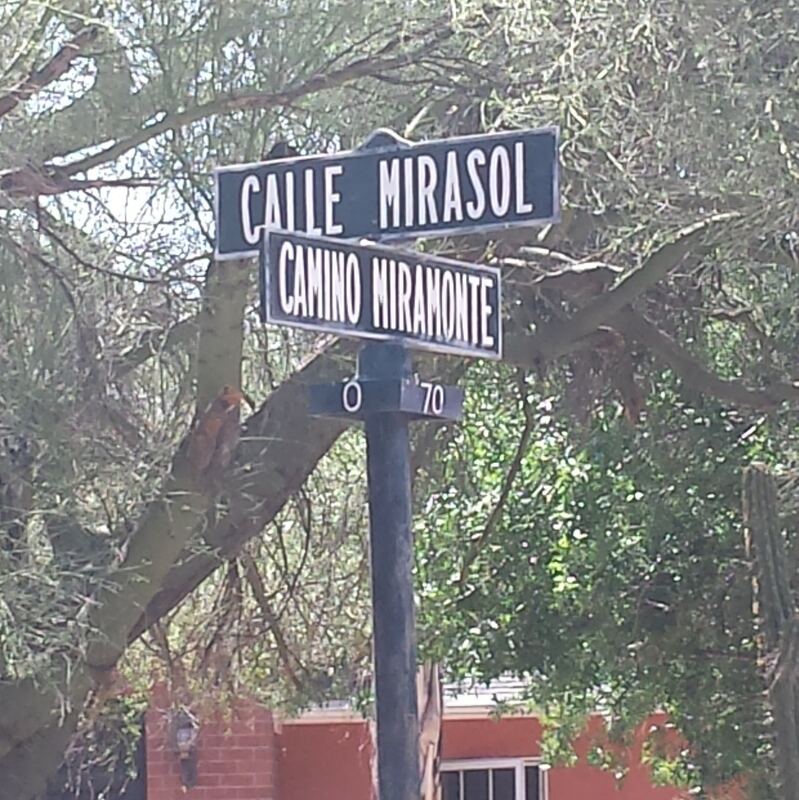 The street names were chosen in a contest which requested Spanish names and their English translations, the winners were awarded $5 per winning entry. Some of the winning names were: Calle Resplandor (Splendor Street), Calle Belleza (Beauty Street), Calle de Amistad (Friendship Street), Calle Portal (Entrance Street), and Calle Mirasol (Sunny View Street).